This easy baby blanket tutorial is such a quick and easy sewing project that even a beginner can tackle. 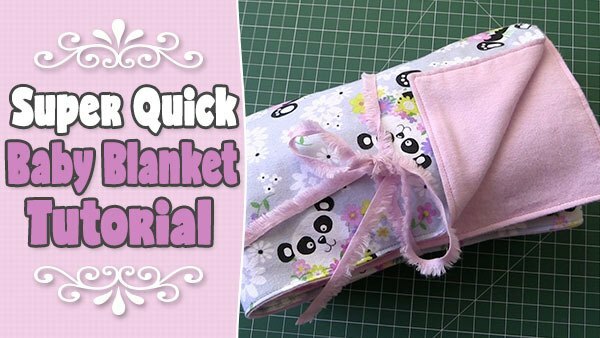 In this tutorial, you will learn how to make a baby blanket that is soft and cuddly. It only requires two pieces of fabric and the ability to sew a straight line. Also, if you are interested in creating a quick and easy baby quilt then check out our baby quilt tutorial here. What type of fabric can you use? Technically you could use any type of fabric for this but since this is a baby blanket, you do want it to be soft and cuddly. We used flannel for one of the blankets (front and back) and for the other we used a combination of flannel (for the front) and minky (for the back). Place your two pieces of fabric right sides together and pin together. 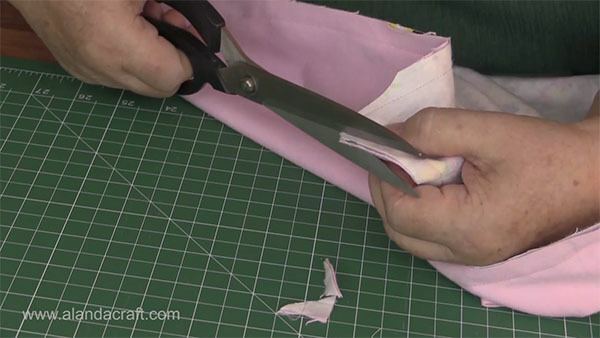 Sew around the edge with a ½” seam ensuring that you leave an opening on one side that measures around 5 or 6 inches. This will allow you to turn the blanket through. Back stitch at the start and the finish as this will help to secure the stitches when you are turning the blanket through. Clip the corners as shown in the video in order to reduce the bulk. This will help to create nice crisp corners. 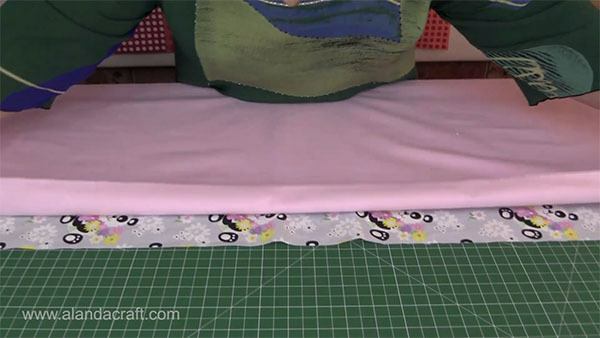 TIP: It can often be a good idea to turn the blanket through first before clipping the corners to ensure that everything has been caught up during your sewing. 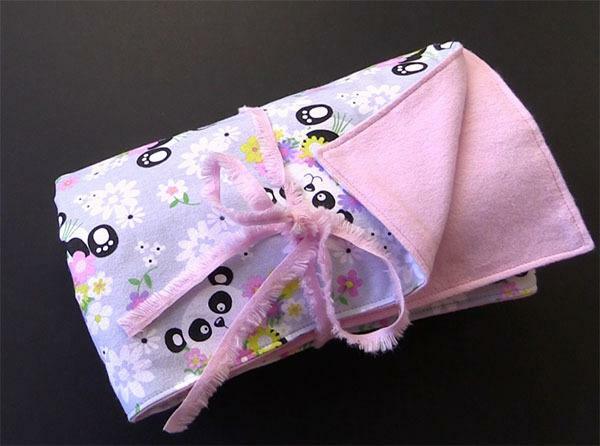 Reach into the opening and turn the blanket through so that the right sides are now facing outward. Press around the edges of the blanket and around the opening. Watch the video for more info on how to do this. 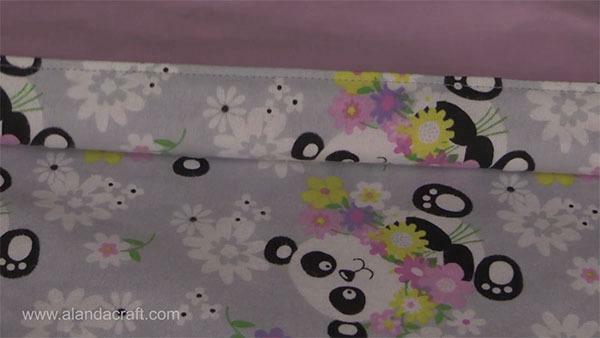 Now sew around the edge of the blanket with about an 1/8″ seam. This will enclose the opening. You could also use a fancy stitch here if you prefer. Your baby blanket is now complete! Thank you, I love this simple blanket, I have made several-who cares if it is a beginner pattern because the recipient loves the special personalized embroidered touch I give it. 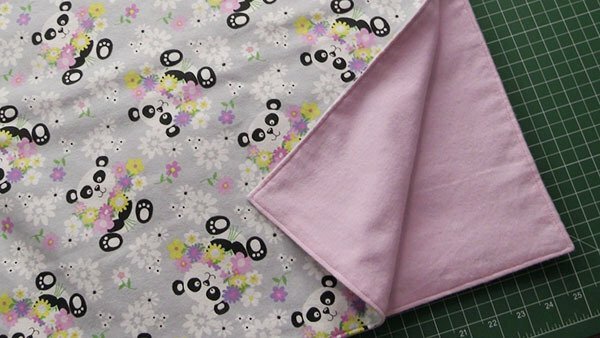 This is such a cute blanket and I love the fabric. It’s nice to be able to quickly make these up so you always have something special on hand to give as a gift. Thank you.